← Author Mary Young: Retired Kindergarten Teacher self-publishes 3 books. 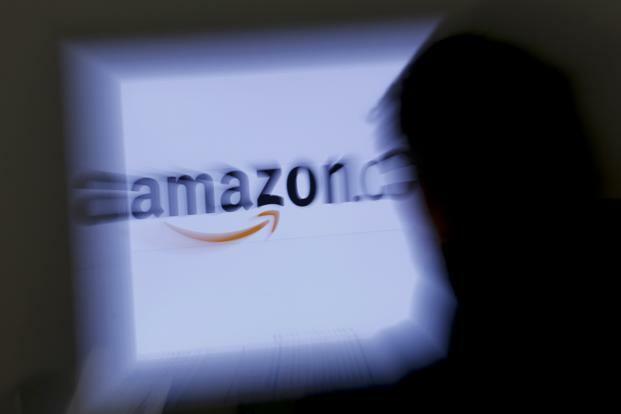 Amazon is the most wonderful place on Earth – or is it? We all know that if you want to get book exposure then you need to have your book on Amazon. The only problem is they take a hefty 55% when they sell your book. They have the leverage to take a high dollar because of who they are and what they can offer a seller. So I have decided if they are going to take 55% then I am going to make them work for it. There are some basics to setting up an account but you can go further and figure out all the little tricks to get exposed faster and by more people. This blog will review setting up the accounts. The next blog, part 2, will go further into what you can do within the accounts. Be sure and click the follow button on the top right so you are alerted to when the next blog is posted. I was surprised at how ‘business like’ the site is but then I thought – this is for all sorts of sellers and some people have multiple products, items, pricing, etc so it is built to host a wide range. There are a lot of tools for inventory control and analytics. I would recommend just reviewing the site and click through some tabs. I always feel a bit overwhelmed when starting a new program because there are a lot of features. When you first sign up, you will need to add your book information and photos. Just go under the Items tab and ‘Add an Item’. You will then have to go through the steps and fill out the book info. Then upload your images. When uploading your book images, be sure and review how to properly name the images and the image size. I actually went through this a couple of times because I didn’t pay attention to the labeling system they want used. Once you submit then they go through a review right there and you quickly see if it was rejected or accepted. So my thought is – I pay to print the book, they take 55% and now I have to pay at least $2.53/book (media mail – up to 9 business days) for Amazon to receive it. Well, that’s not cool because I am now in the hole and will lose money on this book. So I found a ‘stock up feature’ in their help section. The help section is surprisingly helpful, btw. You can go to Help/Orders/Stock Up Request and send them an email. Just let them know it is for a promotion or launch of the book. They need a reason to allow you to send more books. Personally, I requested to send 10 books and they accepted within 2-3 business days. They sent me a new PO for 10 books. 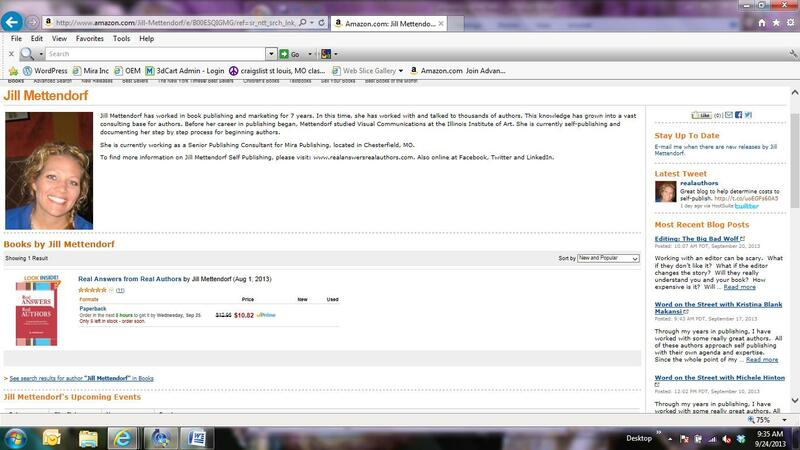 You have now officially put your book for sale on Amazon. That wasn’t so bad now was it? 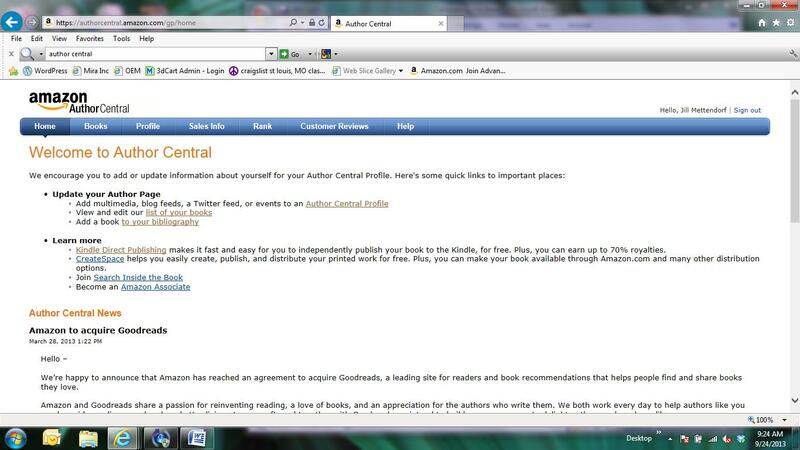 You can sign up for the ‘Look Inside the Book’ feature through Author Central. There are certain obvious rules like owning the work and having a valid ISBN#. There are directions to signup under the Help tab. I thought this part was strange but you have to send an email to insidethebook-submission@amazon.com. First they have to accept your request which can take 2-3 business days. 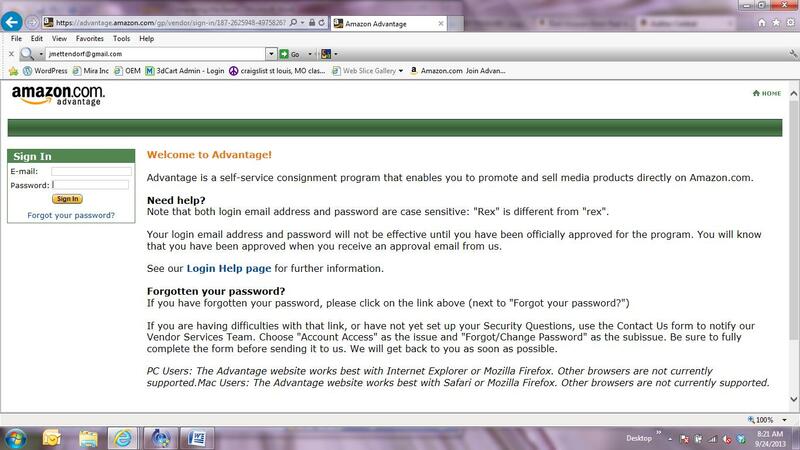 Then they will send you an email with upload instructions and ANOTHER site to log into. There are instructions on how to send your file so review carefully. Once I uploaded, I received a Submission ID# but that was it. 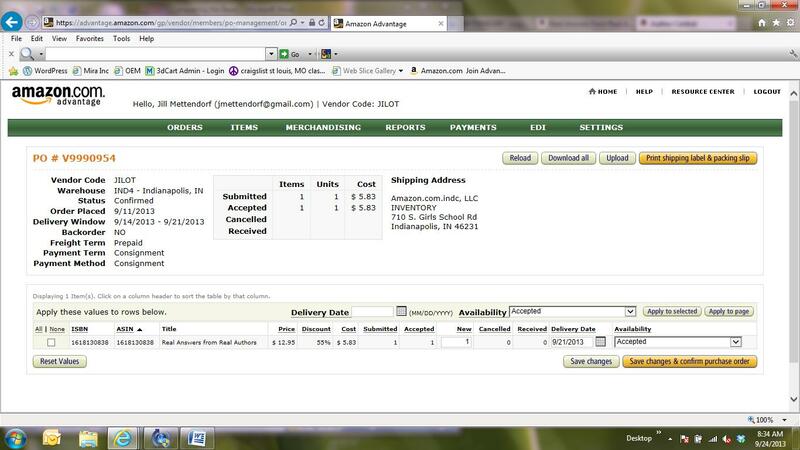 It said successful so I just waited and waited….until finally 9 business days later it appeared online. I was surprised to see things take so long because it is Amazon – I assumed it would be automatic. I guess they have to review all materials first before making them live. And it is a bit comforting to know there are actual people behind the site and all the emails. 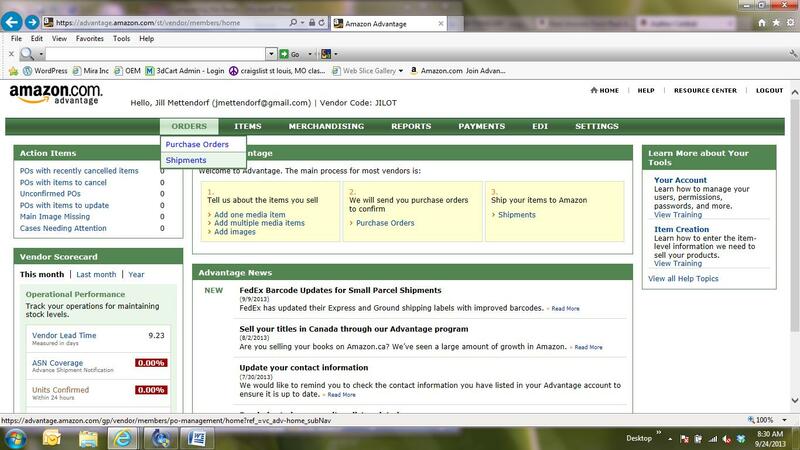 So now you have an Amazon account setup and an Author Central account. All we have to do is sell books! Next up is Conquering the Beast: Part 2. Be sure and click the follow button at the top right and you will be alerted with each new post. As always, I appreciate any comments, suggestions or feedback. If you have a blog topic you want me to cover – send it over. …and in case I don’t see ya, good afternoon, good evening, and good night. Very helpful, Jill. I am looking forward to the next exciting installment! Did you miss these awesome posts?